Which Cisco Certification Should You Choose? If you’re thinking about jumping into the world of computer networking technology or even if you’re a seasoned network admin or developer, one of the most beneficial things you can do for your career is to obtain a Cisco certification. 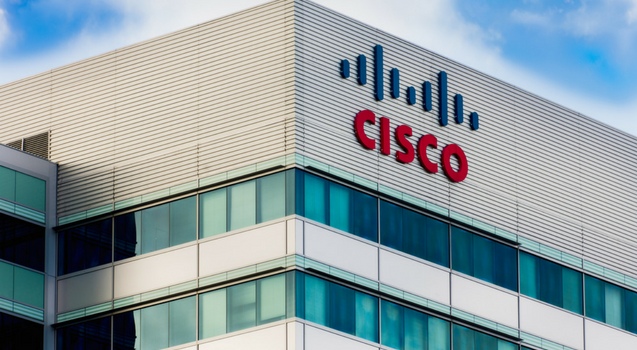 If you work with any type of networking technology, chances are that a large percentage of the hardware you will be working with will have the Cisco name on it somewhere. Cisco provides several different certifications for professionals at all levels of their career. They also provide certifications in the areas of Wireless, Security, Voice, Service Provider, and Data Center. Let’s discuss some of the most popular certifications and discuss who should be looking into them based their on career level. A CCENT is the first certification that entry-level professionals should obtain on their Cisco certification path. Professionals carrying this certification should be able to install, maintain and fix problems within a small network that includes basic security. When applying for positions, this certification will help you to stand out from the crowd of other applicants. The CCNA is categorized as an associate-level certification. It’s broken into several different specialties such as cloud, collaboration, cyber-ops, data center, industrial, routing and switching, security, service provider, and wireless. This is the certification to have if you want to progress towards upper-level certifications such as CCNP and CCIE. You can choose to take one exam or break the work into 2 exams on the different topics involved. The CCNP is considered a professional-level certification. This certification is also broken into different specialties like the CCNA, but at this level, you are required to have more experience and operate at a more advanced level of expertise. To procure the CCNP certification, you must have already achieved a CCNA. You will need to pass 3 exams to obtain this certification, which are exams 300-101 (Routing), 300-115 (Switching) and 300-135 (Troubleshooting). This certification is accepted worldwide as the gold standard of networking certifications and is indeed a very prestigious achievement in the networking industry. This certification not only requires you to pass a very rigorous exam, but it also has a performance-based lab section. The material is constantly updated to keep it at the leading edge of current networking technology. A CCIE is an ongoing certification, meaning that it requires you to re-certify at specific intervals to prove that you are maintaining your expert status. This certification also affords certain privileges to your employer for maintaining a Cisco Certified Expert on staff. If you don’t maintain your certification, these benefits can be revoked, so your employer has a vested interest in helping you to main your certification. The CCAr is the highest level of achievement available for Cisco certifications. This certification celebrates network designers who have the architectural expertise to design, build and maintain global networks. This certification also recognizes that the holder can translate business strategies and bring them to life in the real world. To obtain this certification, the applicant has to present their proposed network solution before a board of appointed committee members who have been chosen by Cisco. It is fairly similar to defending your thesis in the pursuit of higher education degrees. As you might have guessed, this is not an easy certification to obtain. That is what makes it so prestigious. Being able to list any technical certifications under the achievements section of your resume is always a good thing. But if you are thinking about a career in networking technology, you should first consider obtaining a Cisco certification. It will help you stand out from the crowd and increase your knowledge and expertise in your chosen network specialty. Are you ready to get your next Cisco certification or are you interested in learning more about Cisco networking technology? Then it’s time to contact ONLC. Whether you’re just starting out, or you’re looking to supplement your existing certifications, we have the technical resources you need to continue down the path to success. Previous PostMicrosoft Office 2019 is Coming!